Vast data reserves from Defra are set to transform the world of food and farming in the single biggest government data giveaway the UK has ever seen, Environment Secretary Elizabeth Truss has announced. Outlining her vision for the future of British food, farming and the natural environment, the Environment Secretary said that over the next year, virtually all the data Defra holds will be made freely available to the public, putting Britain at the forefront of the data revolution. Harnessing this open data will help food and farming achieve its full potential and enable the UK to become a one-nation economy, where the productivity of the countryside will be brought up to the level of our towns and cities. Speaking to an audience of tech experts, entrepreneurs and investors in Tech City, the Environment Secretary will say: Defra is the most data-rich department in Whitehall, though much of it (millions and millions of files) is hidden away. It is worth billions of pounds to British people, businesses and our rural economy, and it can be used to improve the quality of our natural environment. It’s time to realise that value and tap into the aspiration at the heart of our rural communities to drive up productivity and deliver the true one nation economy this country deserves. Think of the possibilities of over 8,000 sets of data: wine lovers will be able to sip English bubbly made from the finest grapes because growers have found the best soils; canoeists can check an app to see how fast their local river is flowing; swimmers can find the cleanest bathing water; supermarkets can monitor whether the fish they buy are from sustainable sources. To get there the Environment Secretary will say we need to give people who make their living from food, farming and the environment access to the data and the research to think big, to take risks and build profitable businesses. The data goldmine creates countless new opportunities for people across the UK who make their living from food, farming and the environment. It will allow UK farmers to apply cutting-edge techniques to boost efficiency and productivity, and allow better monitoring and management of environmental risks. • Imagery from the Copernicus satellite system that can pinpoint which places have the best soil and microclimates to grow grapes for sparkling wine, detect live if a ship is acting suspiciously in a marine conservation zone, or assess the health of crops and chart their performance under different conditions from space. • Real-time air quality and river level readings, beach cleanliness measurements and the records of the National Biodiversity Network which charts plant, animal, bird, insect and invertebrate numbers across Britain and has just logged its hundred-millionth record. The huge data release will also enable the government to do more for less. For example, using satellite data to see what crops are growing in fields rather than requiring farmers to report on every piece of land. 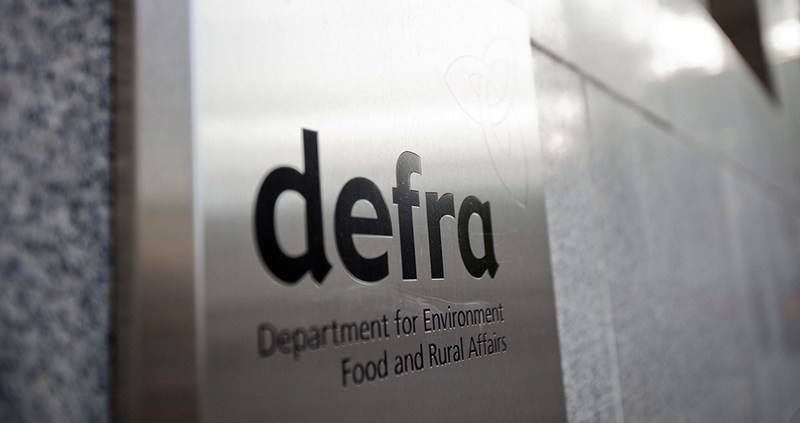 This will cut red tape and save money for businesses and the taxpayer, an area where Defra has an excellent track record, with a quarter of all the regulations tackled in the last government’s Red Tape challenge coming from Defra. The Environment Secretary concludes that this free resource of data will give space to individuals beyond government to take the initiative and pursue ideas that bring profit and progress. Providing the data to enable enterprise will ensure the food and farming industry continues to lead the world and be a technological hive of activity.